Amazon’s selection of Kindle Daily Deals features the Top Kindle deals of 2016. There are 49 books with prices starting at $1.99. 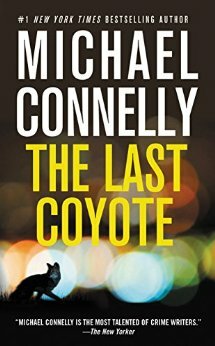 Titles include works by Neil Gaiman, Elon Musk, J.K. Rowling writing as Robert Galbraith, I Am Malala, Andy Weir’s The Martian, a selection of Harry Bosch books by Michael Connelly and more…. In Today’s Deals, Gaiam Balance Ball Chairs and save up to 30% off Graco products, including strollers, car seats and more. The Barnes and Noble Nook Daily Find is Life After Life: A Novel by Jill McCorkle. The Romance Daily Find is The Wedding by Nicholas Sparks. Kobo’s Daily Deal is Winter Garden by Kristin Hannah. The Extra Daily Deal is Running with Scissors A Memoir by Augusten Burroughs. iTunes’ Weekly Bestsellers Under $4 includes I Am Malala by Malala Yousafzai & Christina Lamb. This entry was posted in Daily Deals and tagged Graco, Malala, Michael Connelly, Robert Galbraith. Bookmark the permalink.